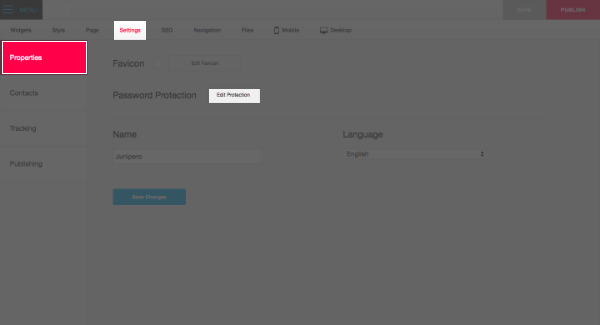 With the Password Protection feature, you are able to create a private website, or make part of your site private. Assign a single login ID (username) and password to your site. Choose whether you want to lock (password protect) all the pages on your site. 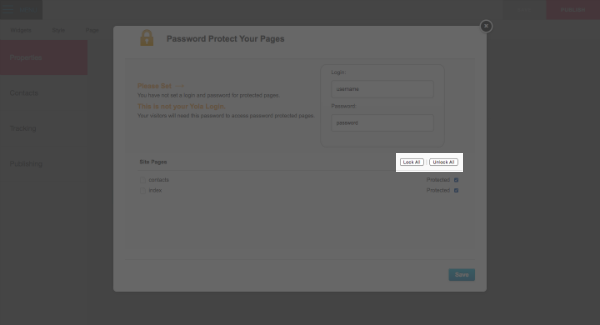 You can then share the login ID and password with people you want to give access to the protected pages. When they access those pages they will be asked to type in the login ID and password before being given access. Allow people to register for a username and password on your site. This is a feature we would definitely like to provide in the future. We will need to do quite a bit of development to make this possible, so we can't make any commitments about if or when it will be released. Keep your files private and unsearchable on Google and on other search engines, no matter whether they're added to password-protected pages/sites or not. Click the Edit Protection button. Add a login ID and password and tick the pages that you would like to protect. You can easily protect all your pages by clicking Lock All or take off the password protection by clicking Unlock All. 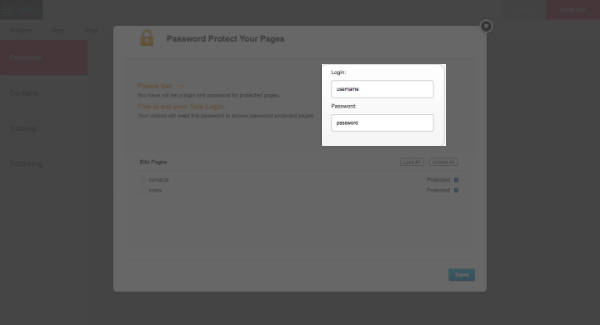 Preview your protected page to see what the login form will look like and to test your login and password. To make the change effective on your live site, click Publish.